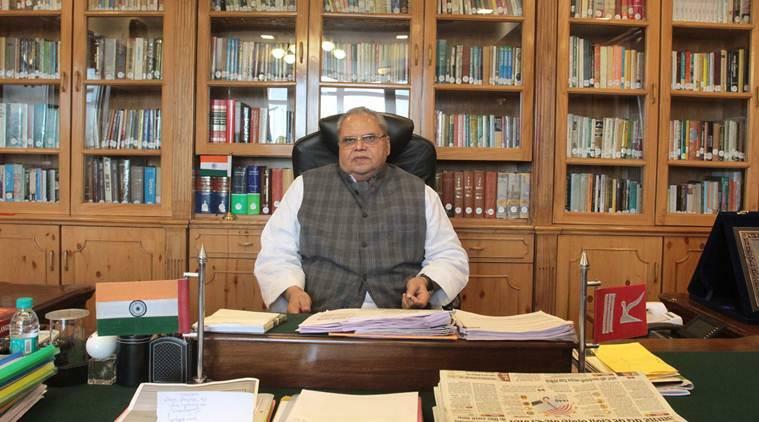 Jammu: BJP national vice president Avinash Rai Khanna met Governor Satya Pal Malik and appraised him about the prevailing situation in Kishtwar district following the killing of RSS leader Chanderkant Sharma, a party spokesperson said. Sharma and his security guard were shot dead by a militant inside a hospital in Kishtwar on April 9, following which a curfew was imposed in the town which continued for the seventh day today. Khanna, who is the BJP's Jammu and Kashmir in-charge urged the governor to direct the district administration to take immediate and effective steps to ensure safety of the people and nab the culprits at the earliest, the spokesperson said. He also visited the residence of the slain RSS leader along with ex-deputy chief minister Kavinder Gupta, Rajya Sabha MP Shamsher Singh Manhas and state General Secretary (organisation) Ashok Koul and expressed their condolences to the bereaved family. "Anti-national forces will not succeed in their gameplan and the entire BJP cadre as well as citizens of the country stand with the minority community in Kishtwar," Khanna said.